Home is where the heart is, but the sad reality is that many young men and women don't have a place to call home. My blogging buddy Niki @ SingleBubblePop is raising money for her latest endeavor: Room Service Atlanta. She's an extremely talented designer that will be designing a room for the United Methodist Children's Home in Decatur, GA. All designers are charged with raising funds to decorate the rooms, which house young men ages 18-21 looking to get on their feet. Anything, even $5 is greatly appreciated as she works to raise money and help these young men have an inviting, warm sanctuary to regroup and call their own. Everyone can attest to how nice a well-designed space can feel... so please take a look at the below post from her site and hit the pay pal link to donate! Last year I was so fortunate to be one of a group of fabulous designers who made over rooms for deserving residents of the Nicholas House. This year, Room Service Atlanta is at it again, but this time we are working with the United Methodist Children's Home in Decatur, GA. The United Methodist Children's Home has a campus that houses children from various background and stages of life to aid in their growth and betterment. Room Service Atlanta has been challenged to make over the young men's dorm which houses 18-21 year olds who have aged out of the foster system. The great thing about this home is that they provide the young men with a safe place to live while giving them access to education, jobs, and life skills that will help them ease into an independent adult life that they have not been previously prepared for. I am honored to be able to work alongside such a giving group of designers and humbled to be able to give back at this stage in my career. Obviously, I'm starting from scratch. The good news is, the room has GREAT bones to work with: high ceilings, double closets, crown molding and decent floors! Also, Room Service has garnered some very generous sponsors in Award Fabrics, Mitchell Gold + Bob Williams and Room & Board. I have received a bed from Room & Board already! So thankful for their support. The bad news is, the room still needs a LOT of work! It needs to be painted from top to bottom because the walls are in pretty bad shape. Despite that, I'm confident that I, along with my awesome team of volunteers, can transform this space into something really special for a young man transitioning into independent adulthood. BUT I NEED YOUR HELP! Every designer is responsible for raising her own funds for materials and labor in this makeover process, and for me that means soliciting donations. For a designer like myself just starting out, this type of work is so fulfilling to complete but almost impossible to finance on my own. Last year I was blessed to have several great donations to make my room makeover happen, but I still had to come up with my own funds. This year, I'm hoping that I can do an even better job for this charity by raising more than enough money to not just make the room beautiful but "over the top"! WHAT CAN YOU DO? You can click the button below to make a monetary donation of any size. 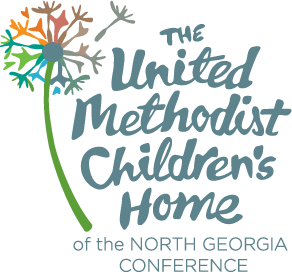 I will make a donation to United Methodist Children's Home in your name so that you can receive a tax-deductible receipt for it. If you are a small business owner that has product that you believe would be a great fit in this room, you can email me about sending your goods to be included! Any business that donates either money or product will receive 1 year of free advertising on this blog sidebar. THANK YOU in advance for any contributions you may give toward this project, even if it's simply your thoughts and prayers that ALL the designers make a difference for these young boys!